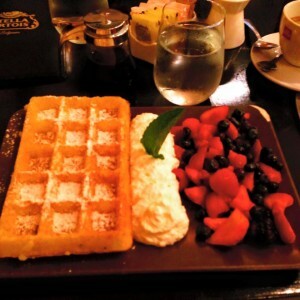 B Too serves up Belgian cuisine to Washington D.C. foodies and it is a “must” for D.C. brunch goers. 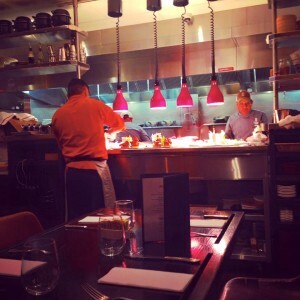 The atmosphere is extremely warm and inviting with bright colors and an open kitchen that is visible to diners. The wait staff is well-educated about the dishes and willing to offer recommendations to diners if you aren’t familiar with Belgian delicacies. 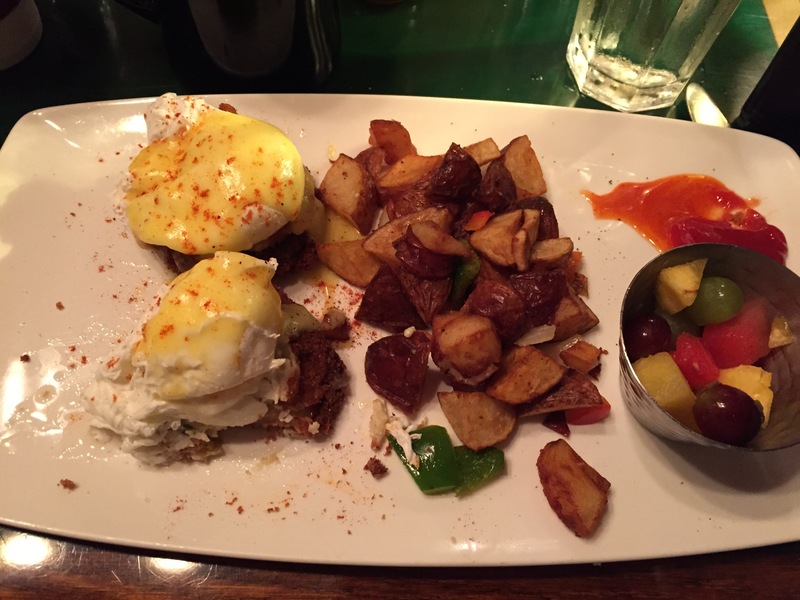 But the biggest perk might be the cost of the meal as I have found their brunches to be very affordable compared to some of their neighboring restaurants on 14th street. I never order sweet items for brunch, always savory, but I made an exception with B Too and I am glad I did. The Brussels waffle is absolutely delicious and I highly recommend opting for the gluten free option with a side of mixed berries. That being said, I have also tried a couple of their egg dishes which I found to be absolutely delicious. For those of you looking to “carb overload,” the restaurant offers a Belgian pastry sampler that is wonderful. 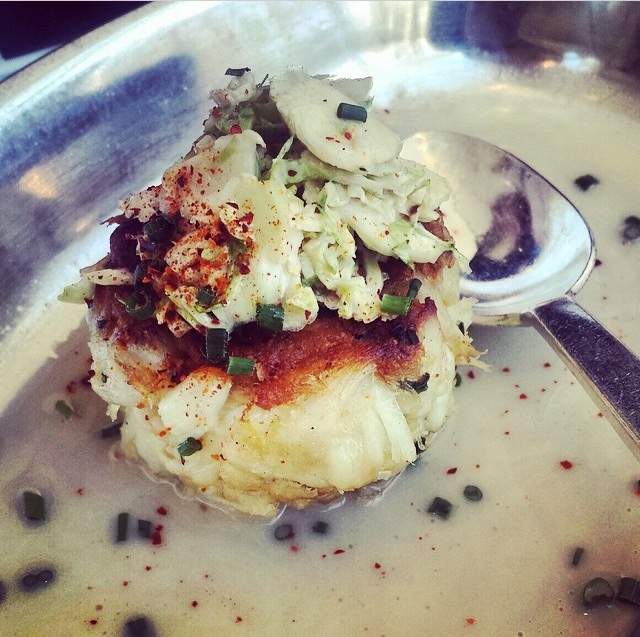 I first discovered Bistrot du Coin when I was a college student living in Washington D.C. and it was love at first bite. 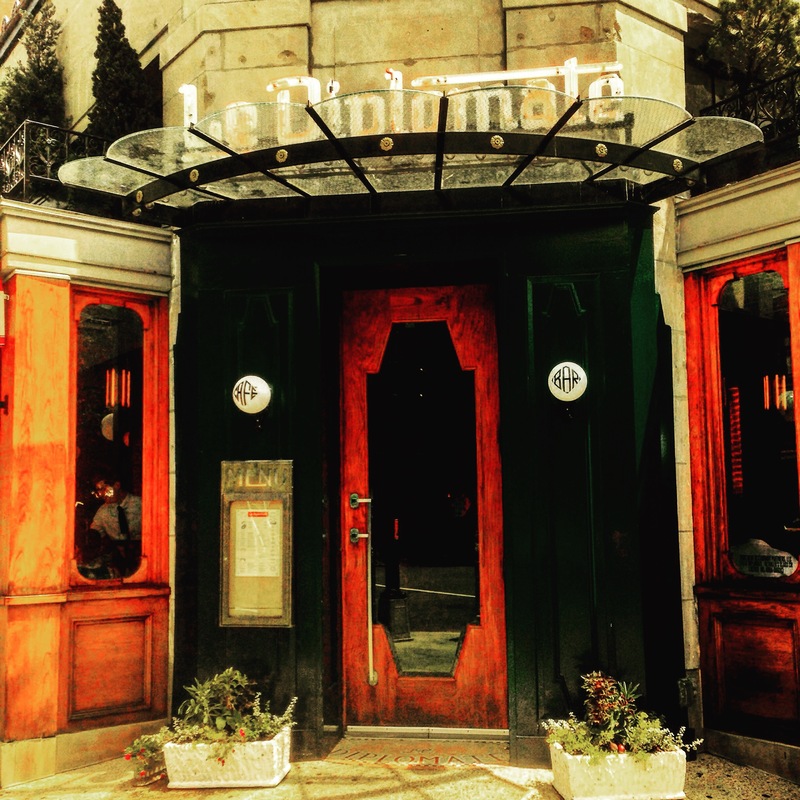 The restaurant motto is “French, Fun and Friendly” and the wait staff certainly delivers that atmosphere! The cuisine itself is excellent and in my personal opinion it is some of the best French food in D.C. It is hard to select just one dish to recommend so I will share a few of my favorites. The Gratinée des Halles (French onion soup) is absolutely wonderful but very heavy and not something that I would recommend for the summer months. The Salade Niçoise façon Bistrot is the perfect summer starter if you are a fan of tuna and hard boiled eggs. For a pasta course, the restaurant offers several ravioli dishes all of which are excellent. 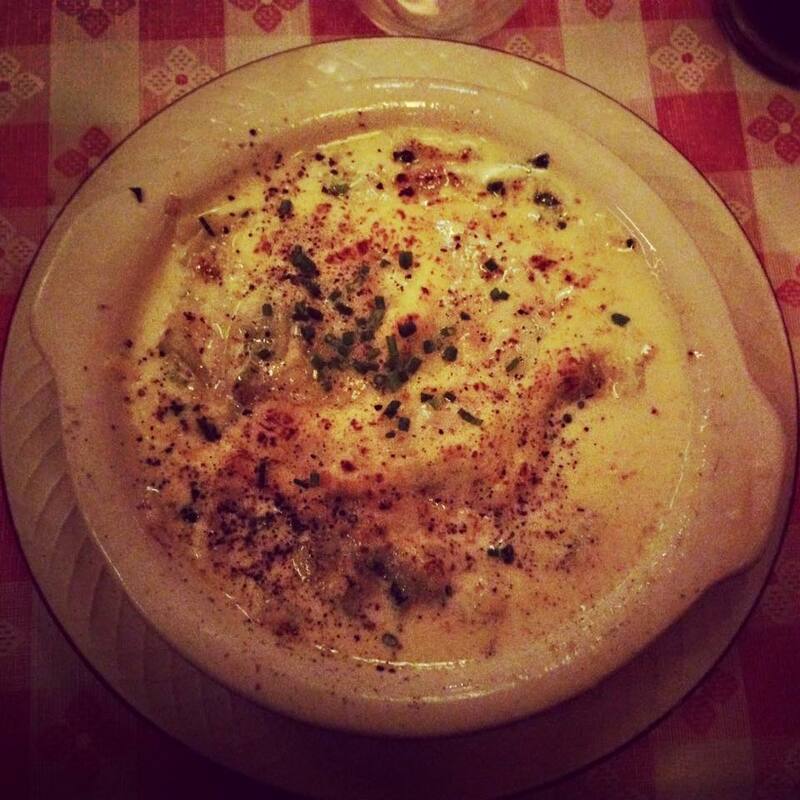 I am partial to the Dauphinoise (l’original) ravioli dish which has a cream sauce with Swiss Gruyère. The restaurant has several amazing mussel dishes as well but my personal favorite is the mussels with lobster and shrimp meat. 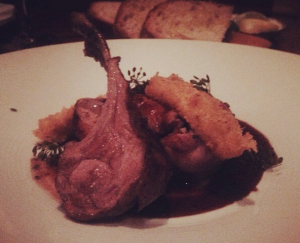 As for a main course, go with the pan seared maple leaf duck breast and you won’t be disappointed! A tip for diners: Like most restaurants in Europe, the water is not served with ice cubes so you need to ask if you want ice for your beverages. I been to the restaurant a couple of times where the air conditioning was not turned on – trust me you will want that ice! If I had one critique, it would be that I would love to see some occasional menu updates. I have been dining at Bistrot du Coin for almost ten years now and very little has changed. Ghibellina is an Italian gastro pub located on 14th street in Washington, D.C. 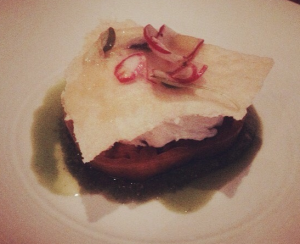 The restaurant prides itself on serving authentic Italian food, and it does not disappoint! As D.C. foodies are well aware, there is a lot of competition on 14th street for restaurants but Ghibellina makes a mark by offering great food and wonderful service. If you are dining early, I recommend trying their Happy Hour menu which offers some of the same dishes at a reduced price. My personal favorites are the crispy risotto cakes, the burrata dish, and the Margherita Di Bufala pizza. I dined with one other person and we found that that two appetizers and a pizza was the perfect amount for two dinners. That being said, I couldn’t help wishing we had decided on individual pizzas so that I could bring some home with me! Fiola, an upscale Italian restaurant, has a prime location stationed close to Capitol Hill and K Street for the lawmakers and the lobbyists but also near enough for the lawyers and judges in and out of the district and federal court. A diner can expect a formal flare here as it has received prestigious accolades, but it is really about the food. Appearances can be deceiving, but despite the formal feel of the greeters, servers, and runners, the seriousness about the food is for a good reason. There are culinary artists at work, who have created attractive plates that tantalize the taste buds. The portions are the only gripe as for the price, you are left expecting not just wanting more. As an appetizer, we tried the burrata salad, a scaffolding of flatbread, tomato, buffalo mozzarella, and pesto/basalmic vinegar yumminess. The flatbread seemed stale but did add texture. Perhaps breadcrumbs would be an easier fix. The salad was fresh and seasonally appropriate. The main course included the suckling pig with polenta. Roasted for six hours, this juicy, smoky entrée delivered on top of the waiter’s recommendation. Enough meat on the bone with not too much fat added to the flavor. The polenta, presented like cornbread, was moist - not wet or dry as it sometimes can come out. The stewed pearl onions were a tasty pleasure that melded the dish together as did the sauce. Surprise tastings in a shot glass of the watermelon gazpacho and small macaroon and jellied candy were a nice treat. Considering the pretty penny you pay to sit at Fiola’s table, these were much appreciated. Other than a pretentious feeling from staff and receiving seating way in the back of the restaurant in a corner with no view, the food is what you come to Fiola for. It is a once-in-awhile-occasion to celebrate rather than a “let’s go here” improvised affair. You need those reservations. 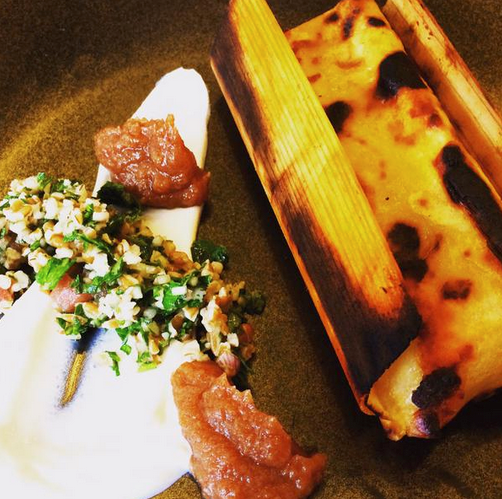 Do come hungry and take part in the wine list by the glass. The rosé and pinot grigio were refreshing! 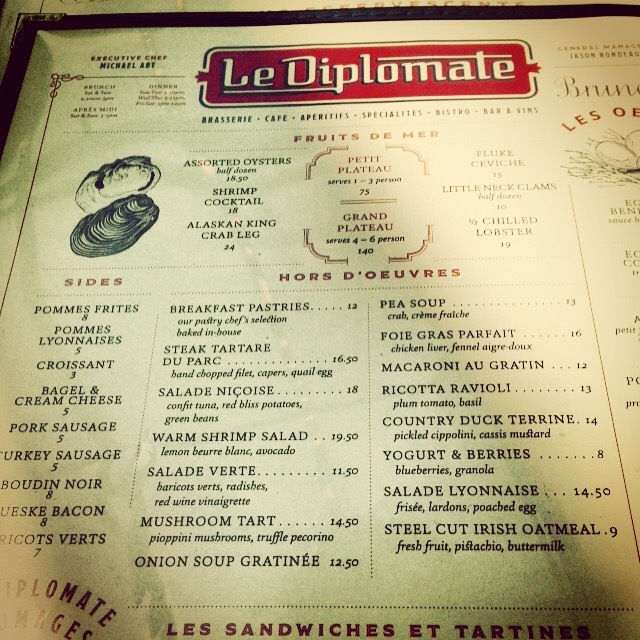 Le Diplomate – A trip to Paris without Ever Leaving D.C. Looking for a trip to Paris without ever leaving D.C.? 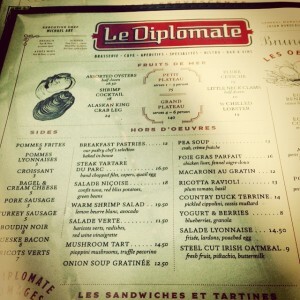 Then look no further than Le Diplomate, a quaint little French café style restaurant on 14th street. Between the décor, atmosphere, staff, and the menu, you can’t help but feel transported away from D.C. and straight to the Champs Elysées. The servers were extremely helpful and gracious right off the bat. I love it when the server knows to refill your water and iced coffee – simple gesture but it makes a huge difference. 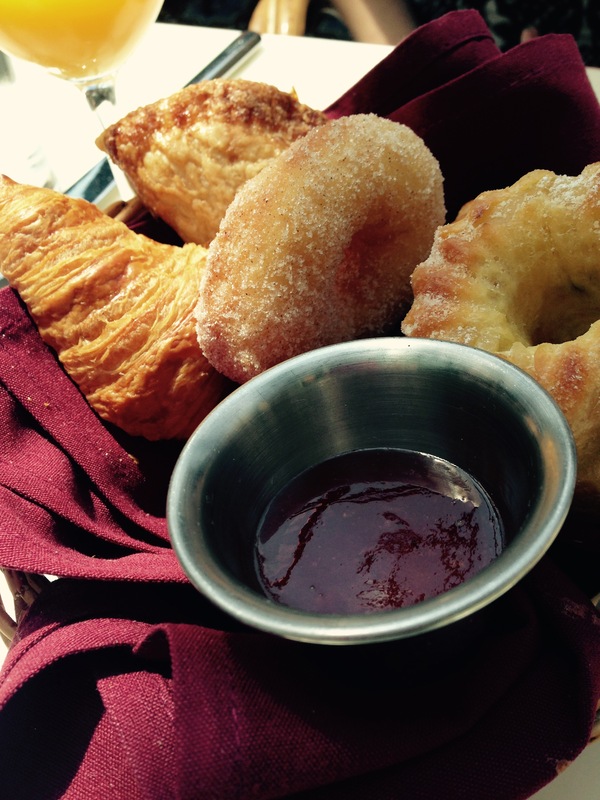 Our table started with the ‘Breakfast Pastries’ dish on the recommendation of our server and it did not disappoint. My personal favorite from the pastry basket was the chocolate croissant – who doesn’t love that little indulgence every once in a while? For the main course, duck sarladaises, which is duck confit, a sunny side up egg and potatoes. The duck was cooked perfectly, as was the egg. I would have liked a tad bit more seasoning on the potatoes but other than that it was a wonderful dish. My friend, who I was dining with, had the buttermilk pancakes, which were fluffy, tasty, and perfectly executed as well. I should also mention that the staff took the brunch to a whole new level by having a mime entertain guests and pass out flowers – they really make sure you have the full French experience! From what used to be the location of a public laundry depot, Le Diplomate is now the closest dining you can get to Paris. Go visit and find out for yourself! Estadio – A Trip to Northern Spain in Washington, D.C.
Last night, I had the pleasure of dining at Estadio, a restaurant that serves delicious Spanish cuisine primarily in the small plate (tapas) style. It is one of my favorite places to eat in D.C.! Led by Executive Chef Haidar Karoum, the restaurant delivers amazing dishes full of flavor and inspiration. The wait staff is extremely well versed in the dishes and the wine list, which helps if you find yourself drooling over the menu and unable to narrow down your choices! For two people dining, I would suggest a meat and cheese selection in addition to four other small plates. (And of course don’t forget about their delicious Sangria as your drink accompaniment!) My personal favorites of the cheese offerings are mahón, a semi-soft cow cheese and manchego, the firm sheep cheese. For the cured meat selection, I almost always go with the jamón serrano (which they give you a very ample amount of! ), but the chorizo is also delicious. For small plates, the Tortilla española is an absolute must. The eggs are perfectly prepared and the sauce on top is delicious. After my overload of jamón, I tend to go with seafood dishes such as their mussels in white wine or their scallops with roasted cauliflower and salbitxada. For some greens, make sure to get the salad with roasted beets, endive, and orange. 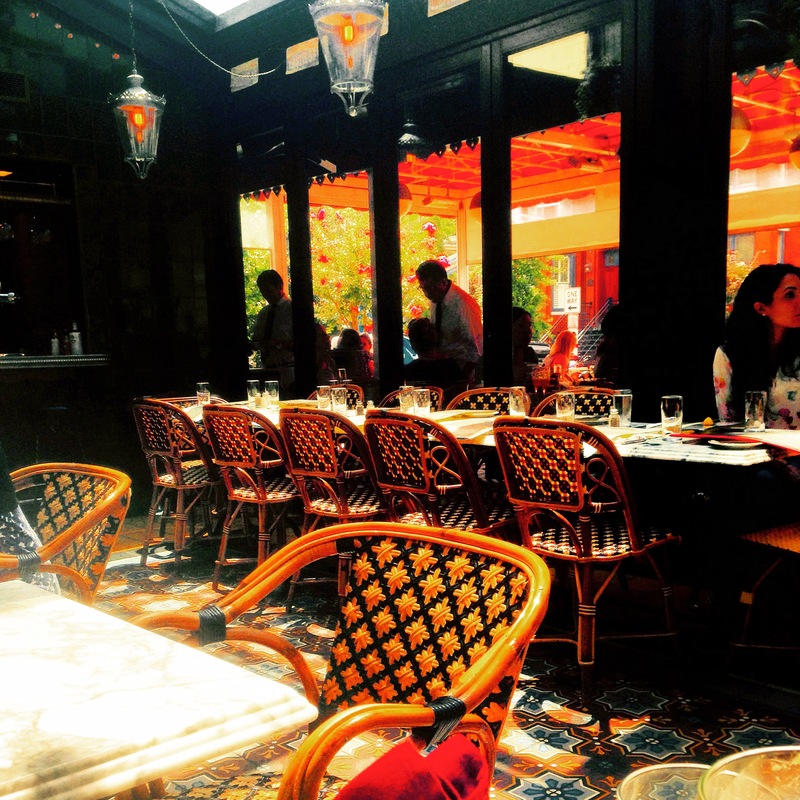 Long story short – If you are craving a trip to Northern Spain but don’t have the cash, Estadio is a great place in D.C. to at least satisfy your foodie desires! When the New York Times is writing about you and you are receiving a RAMMY nomination for best new restaurant, there must be something that restaurant goers are filling the seats for! And that is just a preview of what has been happening at Crane & Turtle, a Petworth neighborhood nook. Chef Makoto infused this restaurant with the finer elements of Japanese and French cuisine including fresh Hamachi that goes fast if you don’t arrive early to enjoy it. Other meat fare such as the duck and rabbit are just as satisfying as they are well prepared and juxtaposed with seasonal vegetables and tasty starches. Refreshing beer, wine, and cocktails compliment most of the small plates and main course items. I paired a delectable Cedar-wrapped shawarma with a Czech pilsner that hit the spot. The desserts are a visual and tongue-laden treat. 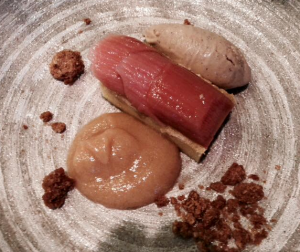 I enjoyed the seasonal rhubarb polenta cake with coffee ice cream, which looked like a fresh sushi plate. The atmosphere of this distinctive dining room provides lucky diners the chance to observe the chefs at work in a kitchen where not a single element in preparing the food has been overlooked. 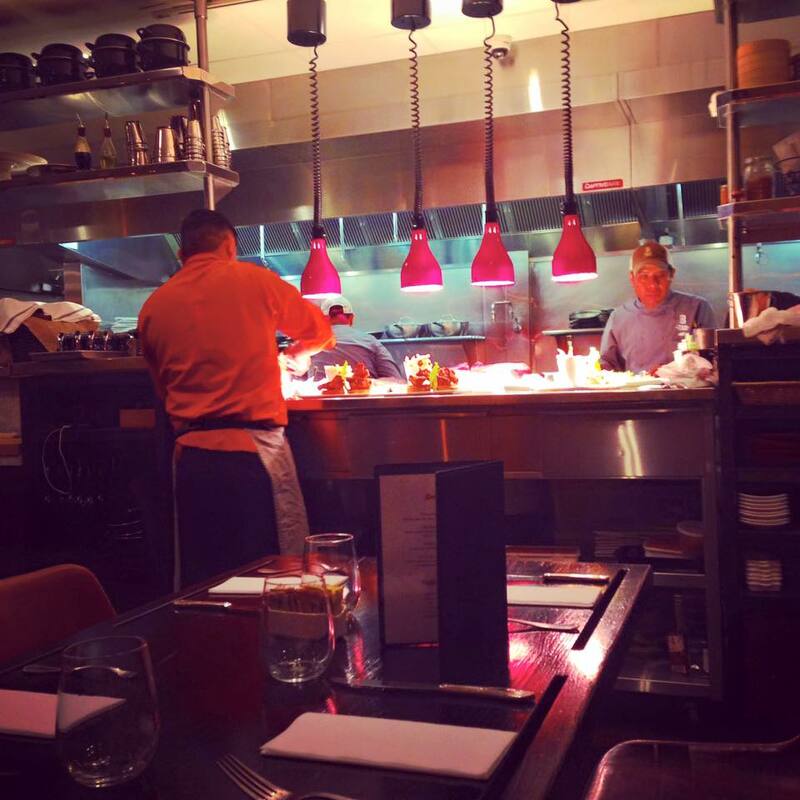 Everything is in its place so cooks can work alone or in tandem to create the delicious fare hitting the tables. It is no wonder that this gem has received such early laurels for its endeavors! Rural Society: Argentine Dining in Downtown D.C.
As foodies we are sometimes guilty of revisiting places we love – which is the case with Rural Society. Located right off Scott Circle, Rural Society is the perfect lunchtime spot for the D.C. professional. Chef Jose Garces, who specializes in Latin cuisine, serves a wide range of dishes at different price points, allowing you to dine at $15 a person or $30 a person. The ambiance of the restaurant is great and perfectly fits with the overall rustic dining experience. Since it's summer time, we recommend trying some of the lighter options on the menu. Right now they have a tomato gazpacho soup special which is a great way to cool down during the summer. The fugazza, which is Argentinian pizza, is light and delicious and leaves you feeling content but not overly indulged. 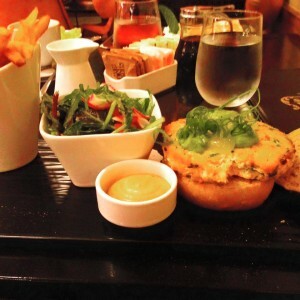 We have also had almost every single sandwich on the menu, and we give them all two thumbs up! They also offer a covered deck for outdoor dining if you are looking for the full summer dining experience. Our team participated recently in the “Dining Out for Life” program to raise funds for the local health services organization Food & Friends. “Dining Out for Life” is a program that started in 1991 in Philadelphia to raise money for HIV/AIDS service organizations and has grown to 19 cities nationwide. 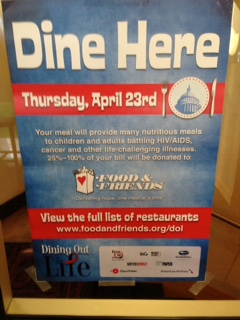 The Media & Communication Strategies team hosted the program at Beacon Bar & Grill in Washington, DC, where it spoke with diners about the “Dining Out for Life” program and its importance to Food & Friends, which hoped to raise nearly $280,000 at over 90 restaurants in the one night fundraising event. The funds raised help to feed 2,700 individuals suffering from HIV/AIDS, cancer, and other life challenging illnesses. Our team had a great time serving for such a crucial cause for the Washington, DC community! What is better than the delicious aroma of an Italian feast instantly consuming you after a rainy Thursday evening? I can’t think of anything better – And that is exactly the smell I was met with as I entered Lupo Verde for dinner. The staff was pleasant as they greeted us and took us upstairs. Our cozy table in the back allowed us to gaze onto 14th street as we chatted and enjoyed dinner. A must have is the meat and cheese platters starter! We chose a platter with an incredible pecorino cheese, mozzarella, with prosciutto di parma. While we awaited our much-anticipated platter (which was well worth the wait) we munched on some fabulous focaccia bread with olive oil. For the main dish, I have two main recommendations based on our table’s consensus. I ordered the gnocchetti tricolore, which was perfectly cooked gnocchi with olives and peppers tossed with Italian spices. The other table favorite was the ravolini with a white sauce. Both were perfectly portioned considering ravioli and gnocchi are usually over-served dishes. 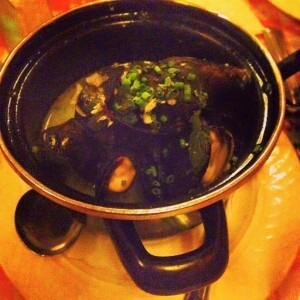 I left for home feeling full and satisfied but not sluggish. If you’re feeling a bit more adventurous, try the Eliche dish, which was pasta with octopus. The taste testers at the table were split on this dish. The downside: The service was pretty slow and inattentive. We had to ask the food runners for our waiter three times, which makes me hesitant to return. Everyone around us seemed to be in the same situation. It was more like dining in Europe than in America! However the food was so delicious that I look forward to returning but planning out more time to enjoy the meal. The history of Martin’s Tavern on Wisconsin Ave. in Georgetown attracts diners just as much as the food and décor. All three of which were equally impressive. Tucked into a corner lot, the tavern is a bit tight but one truly feels transported back in time. The Martin Family has owned the tavern since 1933 and they are well known in the Georgetown Community. Pictures of the Martin family, US presidents, and Capitol Hill leaders adorn the walls of the Tavern. This tavern has served every president from Truman to George W. Bush. 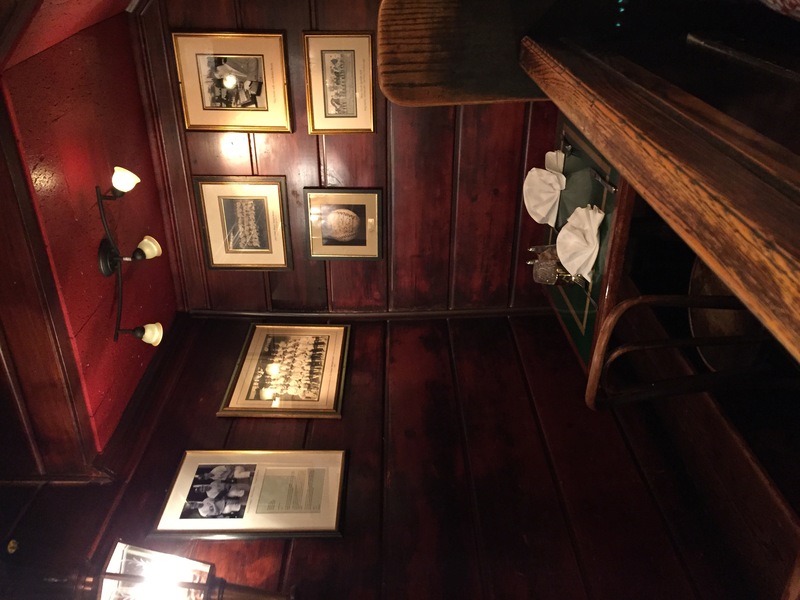 According to restaurant history, House Speaker Sam Rayburn and then Congressman Lyndon Johnson could be spotted frequently chatting in “the dugout” which is a smaller back room in the tavern where our booth was located. The food was incredible, although some brunch plates were definitely better than others. Want a house favorite? Try Martin’s House Benedict. This variation of classic eggs benedict replaces the English muffin with flavorful crab cake patties and is served with a side of fresh fruit and home fries. 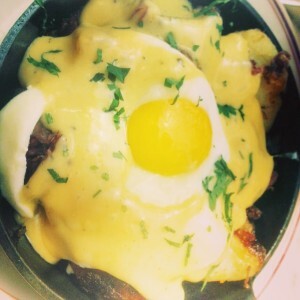 I thoroughly enjoyed this dish and it was a surprisingly good twist for brunch. The breakfast sandwich with sausage was also a popular choice at the table. However, the Rancher (eggs, pancakes, and bacon) was a bit bland. There was also an option to make an omelette “your way,” but I would recommend trying one of their listed dishes instead of inventing your own. 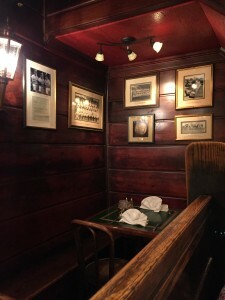 Overall the service was pretty good but we did feel a bit neglected sometimes sitting in the “dugout.” The tavern is an intimate space rich with history and my suggestion is to make a reservation and stick with the house-created dishes! When our MAC Strategies team isn’t hard at work at our desks, the best place to look for us is at one of our favorite DC food spots. And most recently, our team could be seen having lunch at the Blue Duck Tavern<http://www.hyatt.com/corporate/restaurants/blue-duck-tavern/en/blue-duck-tavern-home.html>, an American restaurant that prides itself on serving “simple, rustic food with an artisan approach.” The restaurant boasts a beautiful open kitchen which is led by Executive Chef Ryan LaRoch and all the wood tables and decoration add to the rustic, farm-to-table feel. 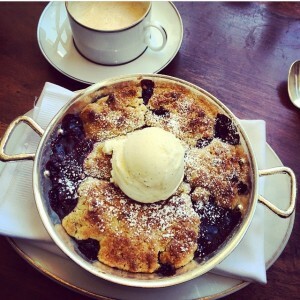 And if you have room for dessert from the filling main courses, then go straight for the cherry cobbler. The bread topping is sweet and crunchy. The cherries are fresh and not frozen or from a can. You can even see where the desserts are put together to have a chance to see what’s coming. One of our favorite things about Blue Duck Tavern was the service itself. Our waiter was extremely informed about the dishes and checked-in regularly with us to make sure we were well fed and watered. What was the best part? He brought the women at the table small stools to put our purses on so that they didn’t have to sit on the ground. Although this may sound like a simple gesture, every detail counts when you work in communications so we especially appreciated this. Springtime in D.C. means three things: Cherry blossoms, the arrival of tourists, and outdoor brunches. This past weekend I had the pleasure of dining at The Woodward Table, a larger restaurant located in the historic Woodward Building which is a block from the White House. It is the perfect place to stop if you are on your way to the National Mall. The brunch menu offers classic American brunch dishes with some Creole, French, and Southern influences mixed in. 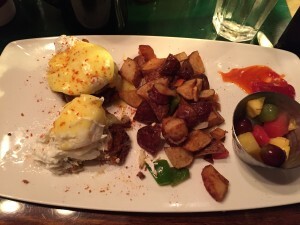 I had the pastrami eggs benedict, which was a delicious twist on one of my personal favorite brunch dishes. The poached eggs are served with creamy cole slaw and thousand island hollandaise which was the perfect blend of savory and tangy. The dish was served on a English muffin-esque roll. Trying one of the enticing biscuits in its stead might raise the dish a notch. One of the individuals I was dining with had the grilled chicken palliard. She said the chicken was perfectly cooked and just the right portion size. Another individual had the chicken and waffle dish, which comes with a southern fried breast, waffles, applewood bacon, maple syrup, and whipped butter. I was disappointed with how long it took us to receive our food, especially since we weren’t offered bread as a starter. We were almost 45/60 minutes into our meal when our dishes arrived. This may have just been because it was their first weekend with outdoor seating and they were still adjusting to extra seating options. The server did apologize once but did not offer us a complimentary appetizer on the house which would have been considerate. The service did need a bit more attention to the tables, particularly with the runners knowing who should receive what plate. That being said, I would definitely dine here again to see if the outdoor service improves as the food was definitely worth it. This Penn Quarter restaurant recently celebrated its one-year anniversary and it has much to celebrate on its menu. With tasty meat choices for carnivores all around ranging from lamb to fish; The Partisan is a “must go.” We stopped by for a dinner date. The best dish by far is the prime rib cuts with blue cheese grits that leave you dying for seconds. The dishes do expand in portion size somewhat as you progress through their nifty, flip through menu but they are mainly small plates. Even though the meat is great, the vegetable plates are also not to be missed which includes such delicacies as the savory cauliflower. The servers are attentive to your drinking needs (the “Eat Your Vegetables” bourbon cocktail hits the spot.) There are multiple menus depending on the time of day or event. 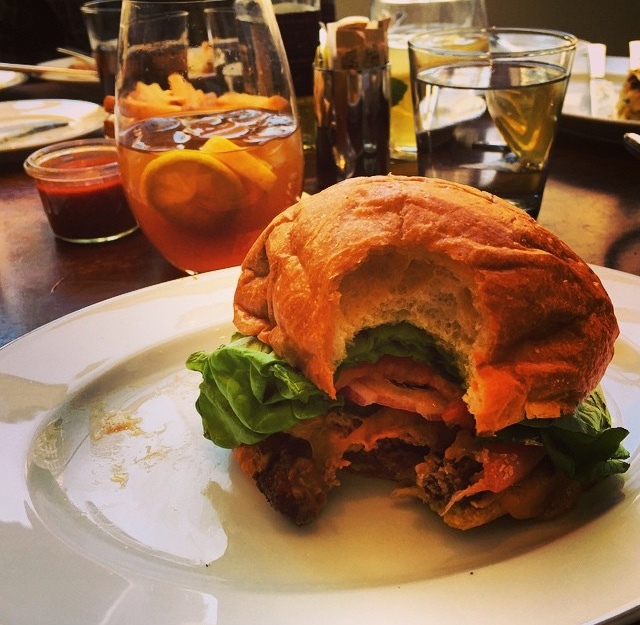 We’re definitely coming back for the happy hour or brunch. And if you can’t get enough of its restaurant, check out its sister butcher shop, The Red Apron, next door for any butchering needs and other foodstuffs! 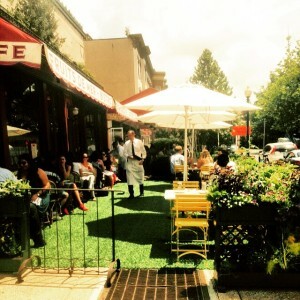 With spring just around the corner, it is time to put away your winter coats and start visiting your favorite outdoor D.C. eateries. One of my favorites is Cantina Marina, a fun, lively boathouse restaurant located on the Southwest Waterfront. Having dined here during the regular dinner service and as a guest at a private event, I was extremely impressed by the food and the overall ambiance. shrimp salad with avocado, tomato, and sprouts which is perfect for a hot day. The food is extremely fresh and not too heavy, which is good because the margaritas can be very filling. The staff is extremely friendly and more than willing to dish about their favorite meals particularly if you’re stumped and need a recommendation. If you are in town to see the cherry blossoms in April, I highly recommend taking a stroll down to the southwest waterfront and stopping here for a cold drink and a delicious meal!